Interior Design has been a great study! If you have noticed, I change some of the titles of the chapters a bit to let you know what we are really being taught. This weeks chapter is titled "Disposition" but it's mostly about submission. The word "submission" would probably turn too many women off, unfortunately, since many think of abuse and evil connected with this word. However, this word is in the Bible to describe Christ's relationship to the Father; a wife's relationship to her husband; children's relationship to their parents; citizens relationship to their government and a few more. It is a good word and it shows how God designed order in all of these relationships so there are designated leaders and followers. 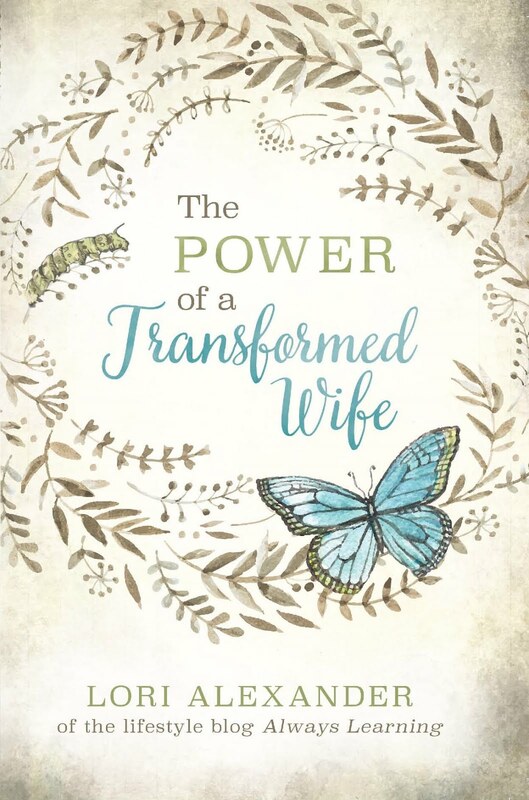 This book defines submission as having a responsive, lead-able spirit that is willing to be obedient to God-ordained authority whether you are married or not; it's about having an amenable, lead-able disposition that desires to honor God's authority by respecting His human authority. * It isn't stubbornly wanting your way, demanding you are right and being rebellious to authority. It is having a gentle and quiet spirit who understands that the Lord of all creation knows better than you do and you put your trust and hope in Him. Wives can win their husbands to the Lord through submission. They can win family members and friend who watch their marriage to the Lord, including their children. It is a powerful force that God uses in the life of wives to convict and change those around them, not to harm them in any way. It is a good word that we should all aspire to develop in our lives since God commands it of us and we love Him so deeply; not wanting to do anything that blasphemes His Holy Name. Being the one in authority isn't the easiest role as many falsely assume. It is actually the more difficult role since they are going to be held to a much higher standard than those who submit. Those in submission have to trust that the Lord will guide those in authority to make the right decisions and if they make the wrong decisions, the Lord will convict and change their minds. Therefore, women, remember that when you are submissive, either to your parents when you are young; your teachers as you are growing up; your employers if you have a job and your husband when you are married, you glorify the Lord! We are commanded to glorify the Lord in ALL that we do, thus when we have a gentle, quiet and submissive spirit, we are pleasing the Lord and bringing glory to Him. Watch the accompanying video on Disposition HERE. 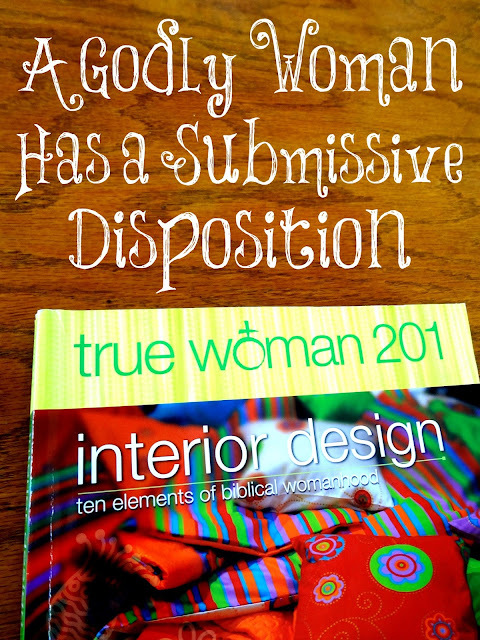 *True Woman 201: Interior Design—Ten Elements of Biblical Womanhood, ©2015 by Mary A. Kassian and Nancy Leigh DeMoss. Used with permission of Moody Publishers. You can buy the book HERE. Is Your Husband Your True Enemy? Please STOP Living Under the Law! Does Your Husband Want to Celebrate Halloween? Should We Be Strong and Independent? Do Women Deserve Something from Their Husband? Halloween Has Gotten Very Ugly! Should Women Attend Bible Studies? What Destroyed Sodom and Gomorrah? Let Him Lead You Courageously! Why the Popularity of Cooking and Home Shows?